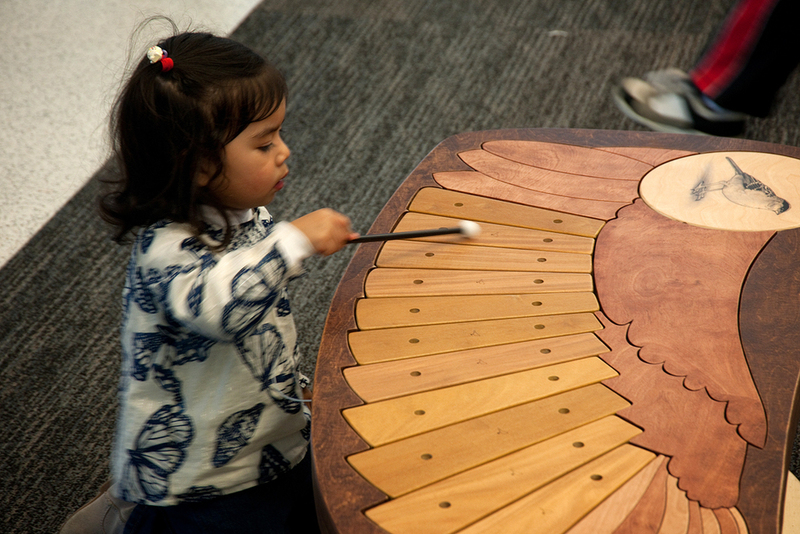 This is a handmade mural and set of benches, commissioned by the San Francisco Arts Commission, for the newly renovated Terminal 2 at San Francisco International Airport in 2011. 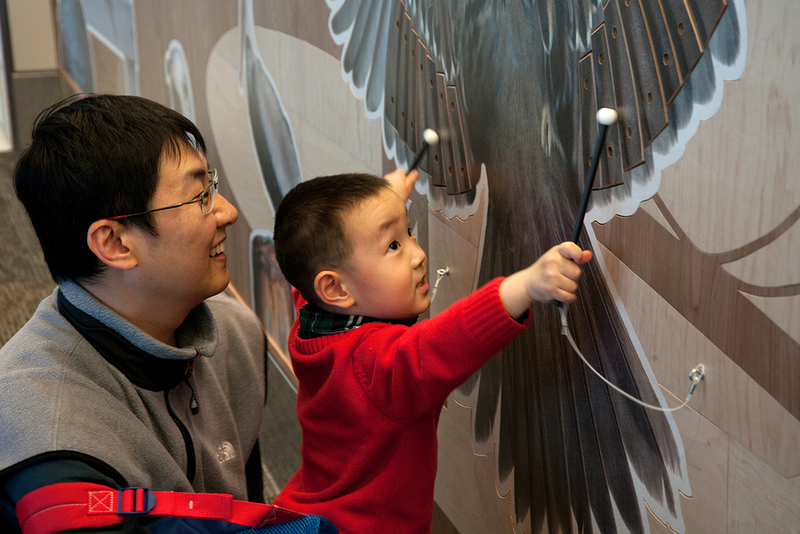 The mural features a large Golden-crowned Sparrow that doubles as a musical instrument. The wing feathers are xylophone tines and are tuned to the notes of the sparrow's song.. The benches are also instruments in the shape of wings, also tuned to a scale created from the notes of the golden-crowned's song. 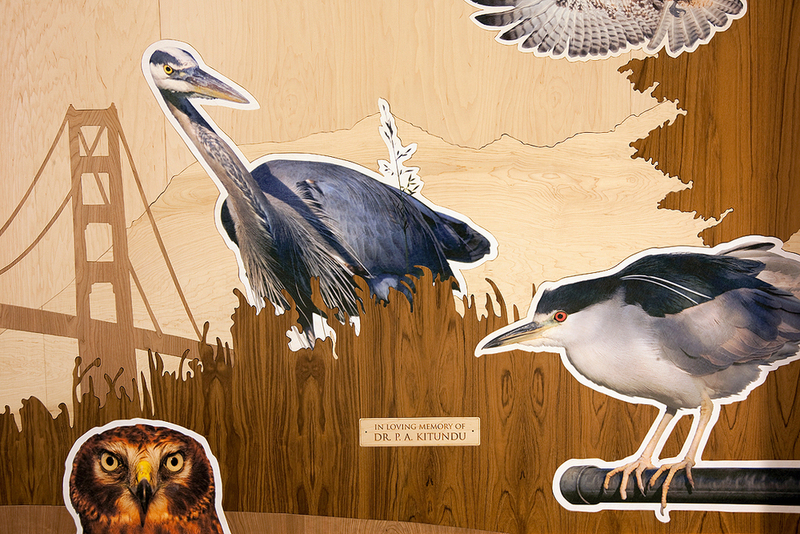 All the birds are photographs I took in the San Francisco Bay Area and had printed onto plywood at Magnolia Editions in Oakland, CA. They were all cut out by hand using a jig saw and inlaid into the background, also hand-cut from veneered plywoods. This work is dedicated to my father, Dr. Peter Ayubi Kitundu, who passed away as the mural was nearing completion.